The past couple weeks I’ve spent more time in the garden and less time in the house. We had a bazillion weeds that were out of control and I knew if I didn’t get them pulled quickly, they’d take over the entire yard. We also managed to get our vegetable garden planted. 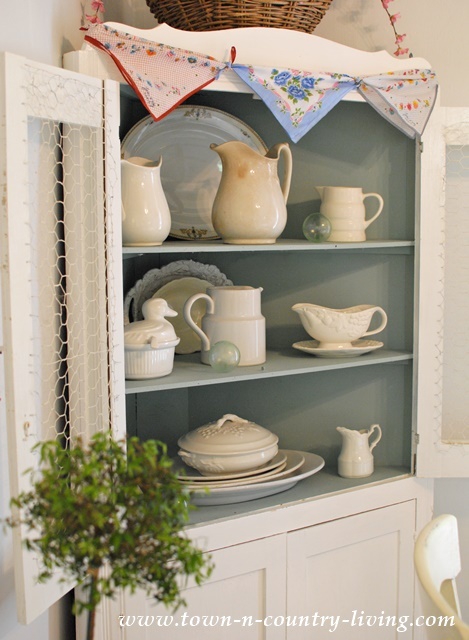 I did have a little bit of time to pull out my collection of vintage hankies that I used to add a little color around the home. I love this look because a) I think it’s pretty and b) the hankies don’t cost much. 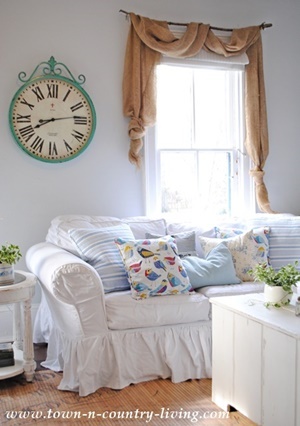 Here’s 3 simple ways to use vintage hankies in your home. 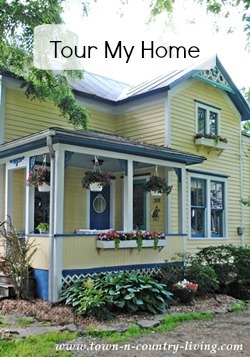 Create a cottage style window valance. 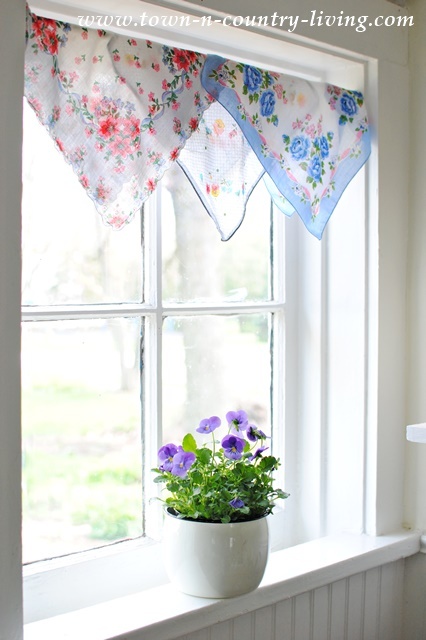 Using a tension rod in your window, fold the hankies diagonally over the rod so they create a pointed edge. No sewing needed! 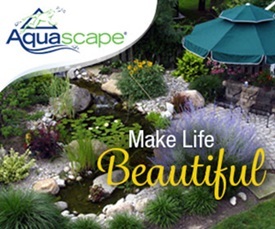 Use a mix of patterns in complementary colors. 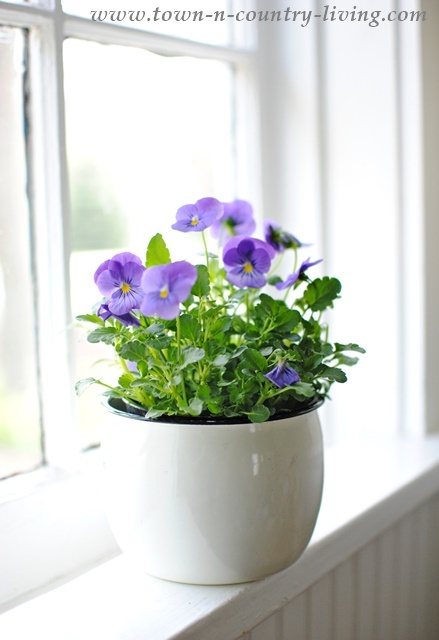 Add a small potted flower on the sill for additional color. I love these little violas … or Johnny Jump Ups as we called them when we were kids. 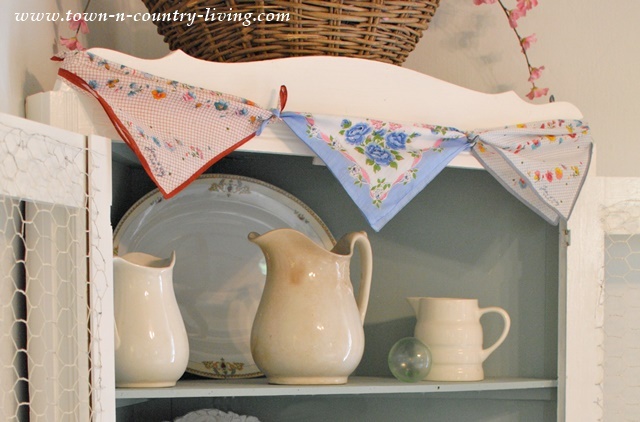 Create a vintage hankie banner. I actually saw this idea in the window of a local vintage shop and thought it was so cute. I decided to make one for my dining hutch. All you do to make this banner is fold your vintage hankies diagonally, and then tie the ends together. 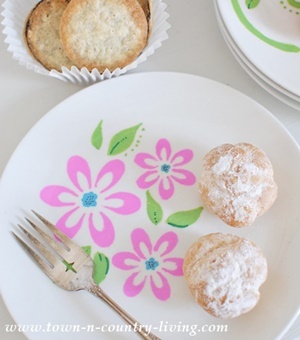 So easy and it adds a bit of color and whimsy! Create a vintage hankie table runner. 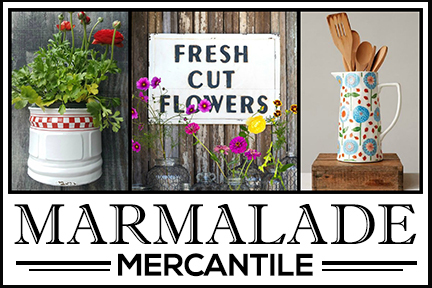 Choose 3 hankies in complementary colors and line them up point-to-point on your table. You could also overlap them and add more, if desired. 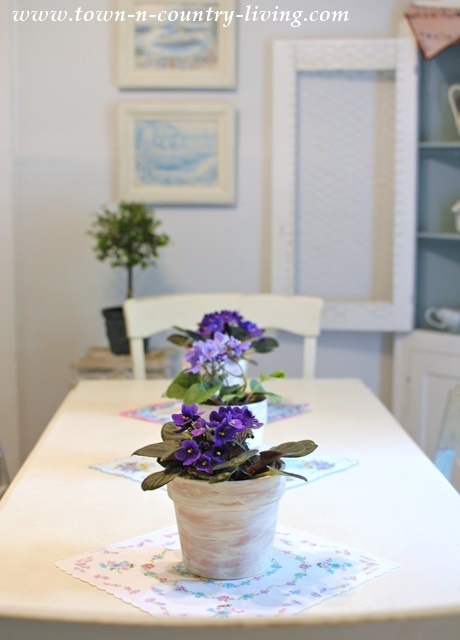 To create a simple centerpiece, add a potted flower atop each hankie. 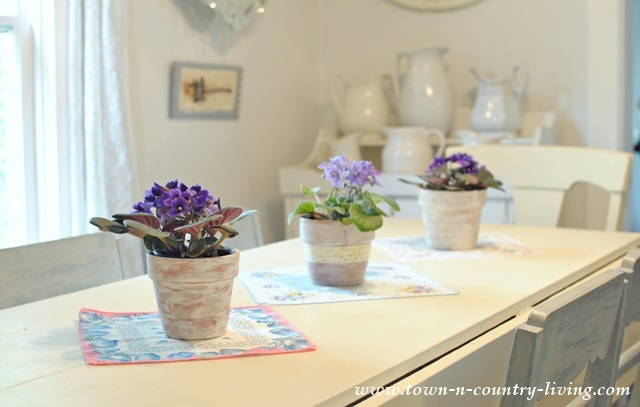 I chose African violets but any flower will do. And there you have it! 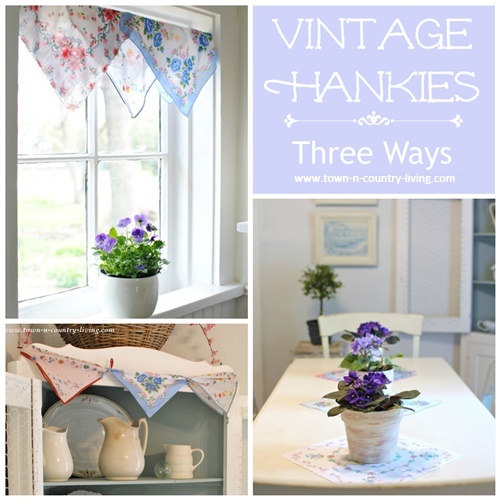 Vintage hankies … three ways! Soo cute! Love that idea! You can also use bandannas! Happy week! LOVE!!! You make me want to get my stash out this minute Jennifer! Such lovely ideas for using them! So pretty. 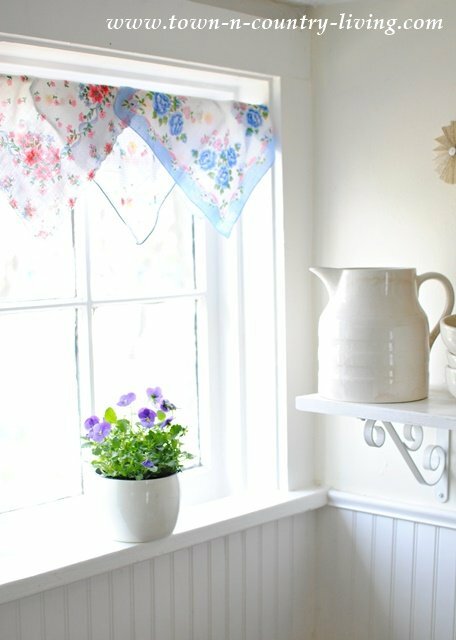 I love the idea of the hankies as a valance the best. This post is exactly why I appreciate your blog, simplicity at it’s finest. I am copying the hankie banner for my hutch right now! Thanks for the inspiration. Easy, simple, and refreshing! 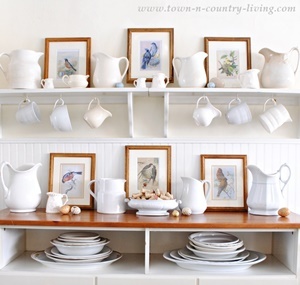 I love the colors with your white rooms/furniture. 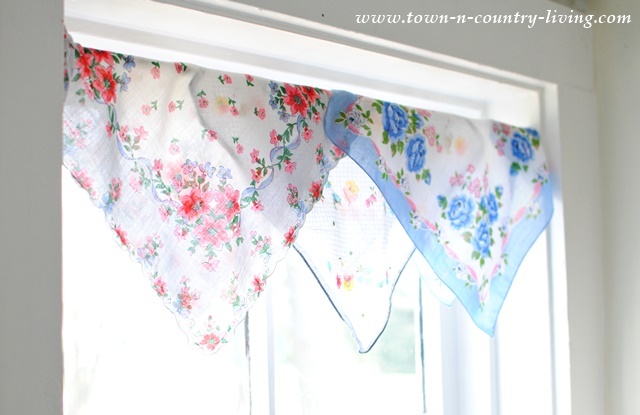 Nice to see these simple and pretty uses for vintage hankies that do not destroy the hanky. 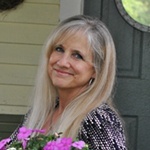 My clients are always surprised and pleased to find out that my dresses are folded and no cutting is involved either.